In additions, ART VISION Videomapping Competition between professionals and aspiring artists from all over the world run each year within the festival. Contestants can enter the following nominations of the competition: Classic Architectural Mapping, Modern Video Mapping and VJ contest. Besides, there will be a traditional educational program – workshops and lectures led by the biggest Russian and international light professionals. 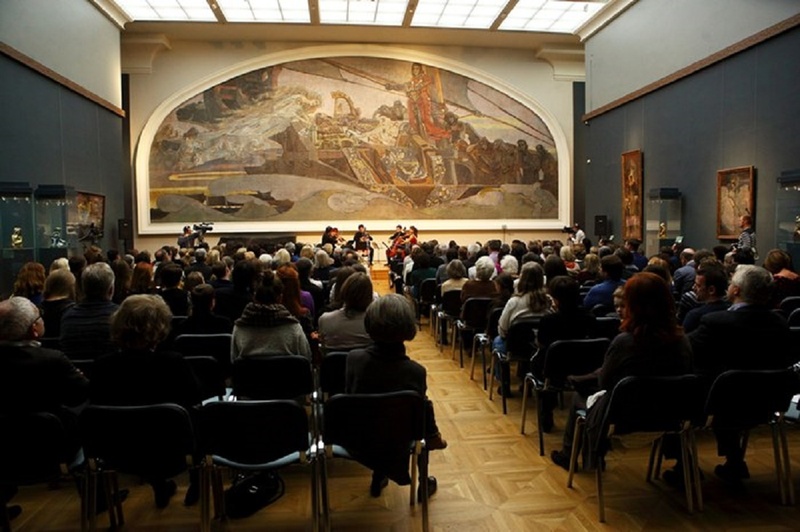 This year, nine venues will take part in the festival. There will be a spectacular performance from 6 video-mapping novels, made by the master-hands from Russia, France the UK and UAE at the Ministry of Defence Buildings on Frunzenskaya embankment. The light composition on Andreevsky Bridge will connect the visual stories. 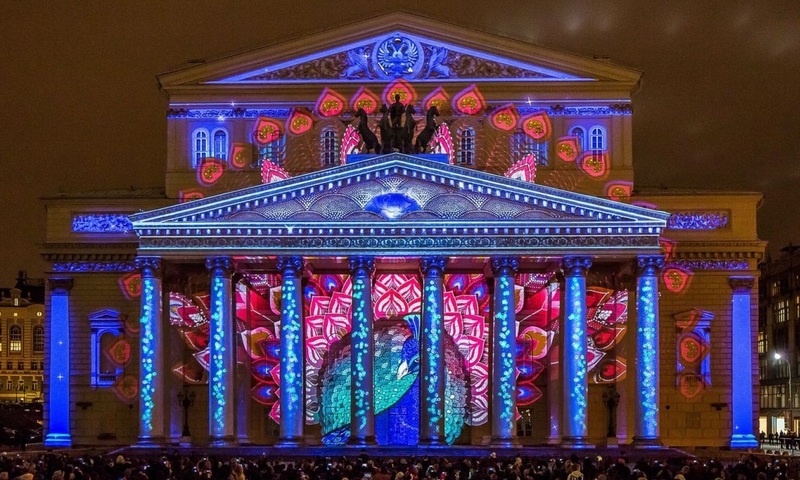 In the festival’s anniversary year on the façade of the Bolshoi Theatre the best light retro-performances from 2013-2014 will be shown. Moreover, viwers will see a light show on the subject of the opera Karmen and the ballet Lebedinoe Ozero. The VDNKh will become a park of light. There will be multimedia architectural lightening of the entrance arch and the buildings, light décor of the main alley, demonstration of the participants’ works in two nominations of the contest – Art Vision Modern and Art Vision Vjing. On September 27, the musical program by the Russian singer and composer Dmitriy Malikov will be synchronized with a video projection. In addition, from September 28 until October 4 there will be the ice light show with the Russian figure skating stars. The Central Children’s Store will turn into A City of Light. The façade of the building on Lubyanka Street will look like a fairy tale. You will find there amazing stories about fantastic creature and a parade of funny toys, an evolution of the Russian toy and a city transformation into the colorful incredible world. The Patriarshie Prudi will host light installations on water on the subject of Bulgakov’s novel Master and Margarita and the Chistie Prudi – installation Living in the City of Light. Furthermore, multimedia barges will sail and make projections from the House of Music to the Luzhnetskaya embankment, coloring the Moskva River and its surroundings on september 26 and 27. On weekends, bright performances with music accompaniment will be shown at the Grebnoy Channel. Fireworks, laser, pyrotechnic and fire shown will unite there with a gorgeous symphony on water. 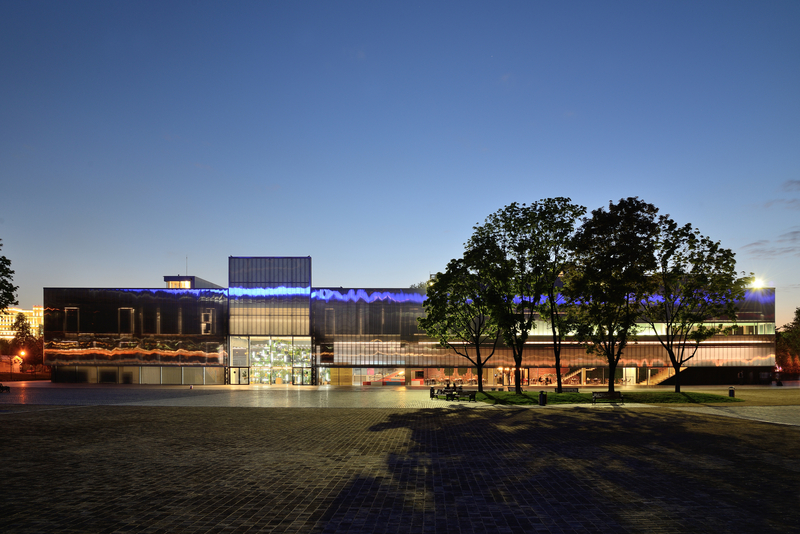 The Digital October will host the festival’s educational program, which will include workshops, seminars and lectures.